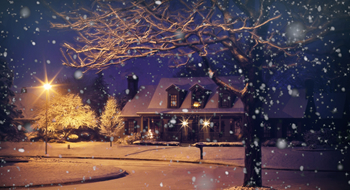 The holidays are here, and that usually means great times visiting with friends and relatives, sharing memories and making new ones. Often this includes traveling out of town for a period of days and having to leave your house unattended while you are away. Life Insurance....what's in it for me? Why would someone consider buying life insurance and what kind is the best policy for their dollar? Life insurance is one of the foundations of managing your personal finance, something every person should consider an absolute necessity! But somehow, in spite of this fact there is still a large amount of confusion, skepticism and negativity for most people when they consider buying life insurance. 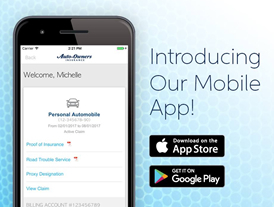 Auto-Owners Insurance App now available! Most of the time, insurance is something you really don't think about, and that's the way it should be. Good insurance policies and responsible agents like Larry Liveoak and the staff at Liveoak Agency allow you to live your life peacefully and productively knowing we've got things covered for you when accidents happen. But when they do happen, it is good to know the information you need is easy to find. Alabama motorists driving vehicles without mandatory liability insurance will face civil penalties! The Alabama Law Enforcement Agency (ALEA) will begin enforcing the Alabama Mandatory Liability Insurance Law (Act#2016-361) on November 1st, 2017. Summer is right around the corner and with that brings lots of people enjoying the warmer weather. 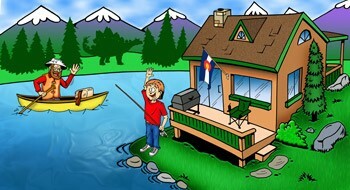 Protect your lake homes from burglars for while you are away. Keep children & pets safe near the water and tie down your boats & wave runner’s securely to avoid damage and/or floating away. Most importantly, BE SAFE! We've all heard of Spring Cleaning but the Fall season is a good time to do maintenance and repair work and clean up too! 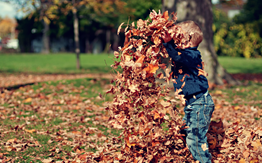 Here's some great ideas from Auto-Owner's Insurance for Fall Cleaning / Maintenance Jobs! The best part is that these ideas are simple and easy and may save you money, and possibly your life! Motorcycle riding is a popular form of recreation and transportation for thousands of people across the state and nation. 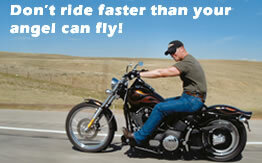 As warmer weather approaches there will be more and more bikers on the roads. Please be courteous, look both ways twice before pulling into traffic and remember these riders have families just like you.